The Japanese Nikkei Business Daily newspaper has reported that Kaz Hirai will be promoted to Sony Corporation’s president from April 2012 onward, thus taking over from Howard Stringer, who will remain chairman and CEO. While Mr. Hirai’s current position — Sony Corporation Representative Corporate Executive Officer and Executive Deputy President — may sound vague, he is the man responsible for the rise to success of the PlayStation 1, 2 & 3 in America. And the PlayStation brand getting mass-appeal in general, he did this by placing advertisements during big sports events (think NBA, NASCAR, NFL & NHL) to make PlayStation cool enough to reach new audiences that would normally not considering playing video games. …Although you may know him best from the “Riiiiidge Racer!” meme he started at Sony’s E3 2006 keynote, which was where he showed the PlayStation 3-PSP connectivity. 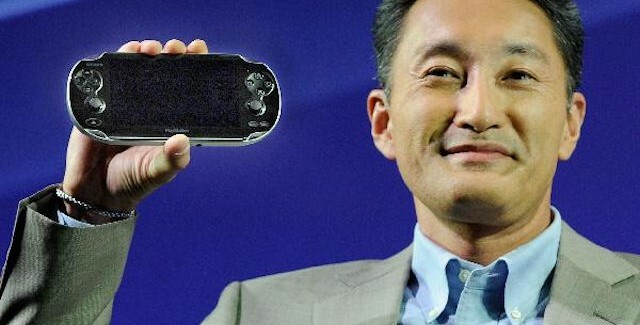 All jokes aside, let’s take a look at Mr. Hirai showing off the upcoming PlayStation Vita at E3 2011. Although the change in Sony leadership is expected to happen in April, it won’t be finalized nor confirmed until a February board meeting has taken place.